On Monday we kicked off this year's 100 Acts of Kindness Project with our first challenge issued by Megan of Coffee Cups and Crayons! 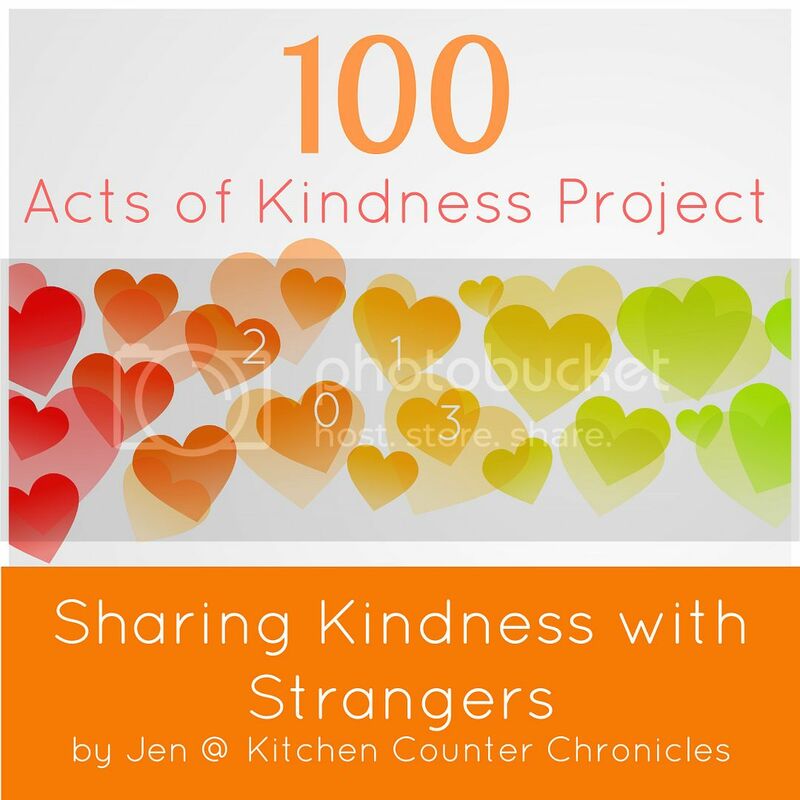 Today Jen from Kitchen Counter Chronicles is sharing a few ways that we can share kindness with strangers. Click on the image below to check out her ideas. While you are over there, you'll also want to check her ABCs of Raising Eco-Friendly Kids series. Several of the ideas she shared are ways that you and your kids can show love the environment this week! Jen also has a section of her blog devoted to green life that you may enjoy... so pop on over! One of the ways that we showed love to the environment this week was to get outside and enjoy it! We went hiking and climbing in a local open space as a family. We also tried to be better at recycling and repurposing things... instead of just throwing them away! How did you accomplish this week's challenge? How are you kind to strangers?